Eskaya people are members of a small cultural minority on the southern Philippine province of Bohol, spread across five villages in the southeast of the island. Less than a quarter of the population of roughly 3000 people are proficient in the traditional Eskayan language and script which today is used for schooling, prayer, song and the handcopying of traditional literature. 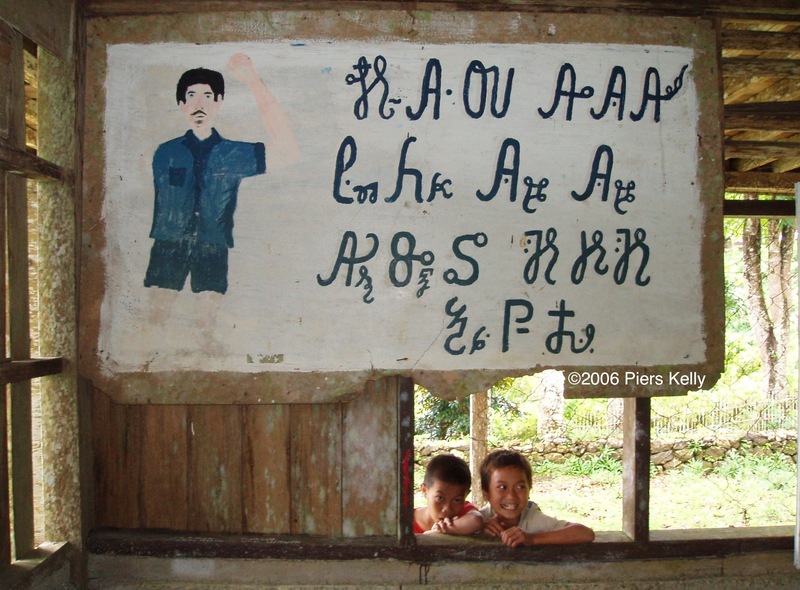 Having only come to wider public knowledge as recently as 1980, remarkably little is known about the Eskaya community, its language or its writing system. Lexically unrelated to other languages of the region, Eskayan has generated controversy over its origins and time depth, with some suggesting the language was an exotic import from beyond southeast Asia, while others have dismissed it as a hoax or fabrication. 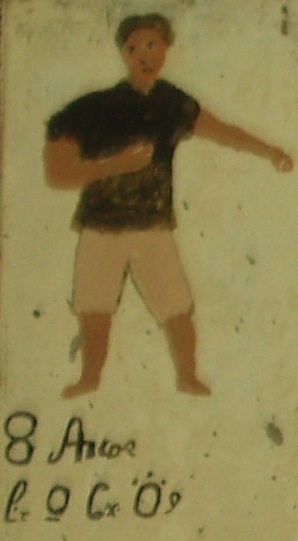 The earliest material evidence of the language and script can be dated to 1937; another surviving document may originate in the 1920s although it has not been decisively dated. Eskaya people themselves maintain that their language and script was the creation of the ancestor Pinay, a native ‘Pope’, lawmaker and linguist. According to this tale, Pinay’s language was suppressed by colonial occupiers but revived in the twentieth century during the lifetime of a leader by the name of Mariano Datahan (ca. 1875–1949) who discovered an archive of carved wooden tablets in the language, stored in a cave. My research has examined the grammar, lexicon, writing system and literature of Eskayan with a view to tracing its history. Drawing on linguistic evidence, archival material and oral historiography I have explored the origins and development of Eskaya linguistic culture in the context of Bohol’s recurring anti-colonial insurgencies. Publications related to my research can be accessed from the About page. I am preparing a digital archive of secondary Eskaya sources here. With assistance from the Australian National University’s Small Grants program, I am in the process of developing a font for the Eskayan writing system. See the Eskaya font project page for more information.